A nearly custom fit at an affordable price! 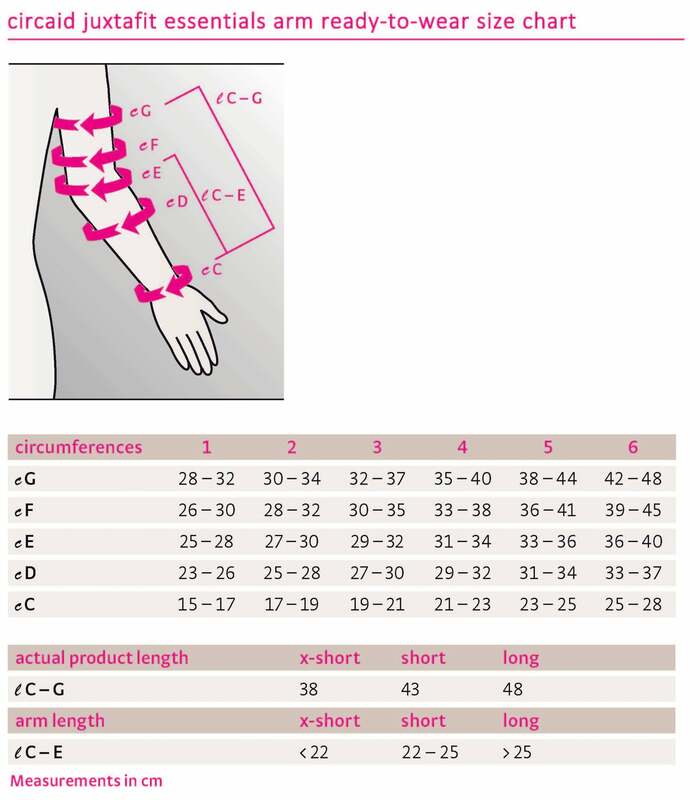 CircAid's JuxtaFit Essentials Armsleeve can be worn 24-7 to help treat edema and lymphedema in the arm. This comfortable wrap can be adjusted to one of four different inelastic compression levels: 10-20 mmHg, 20-30 mmHg, 30-20 mmHg, or 40+mmHg. Patients set the compression level using the built-in pressure system (BPS) - see video on next tab for more information. The velcro band system makes it easy to don, adjust and remove with one hand. Plus, the sleeve can accommodate a 5% increase and a 10% decrease in arm size. Available in six different sizes and three different lengths for a nearly custom fit. Made from Breath-O-Prene fabric treated with SILVERtec to prevent static, odor, and the growth of bacteria. CircAid is a Medi brand. We recommend putting your wrap in a pillow case or laundry/garment bag and washing it on gentle cycle or the lowest permanent press setting. Use fragrance free laundry detergent. We recommend air drying it by hanging or laying it flat. DO NOT: Machine dry. DO NOT USE: bleach, fabric softeners, or other laundry additives. These may damage your garments.